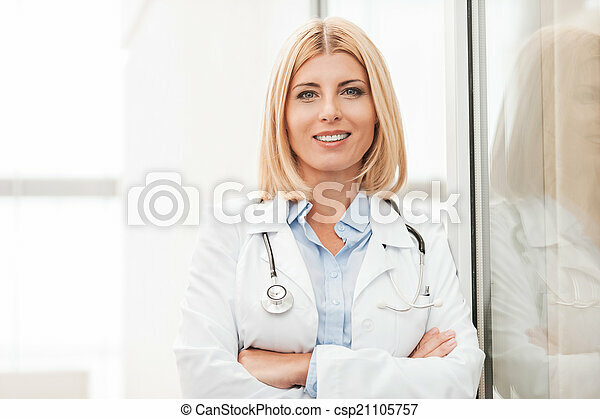 Experienced female doctor. 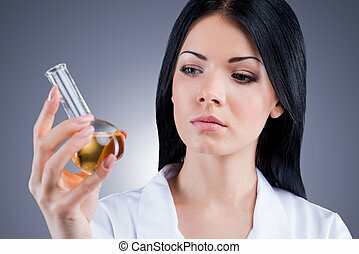 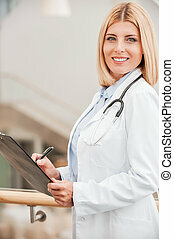 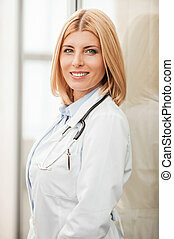 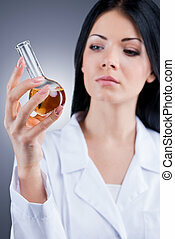 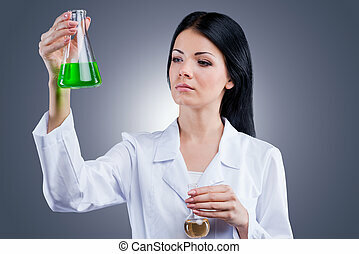 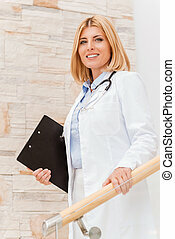 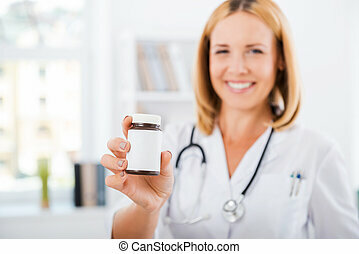 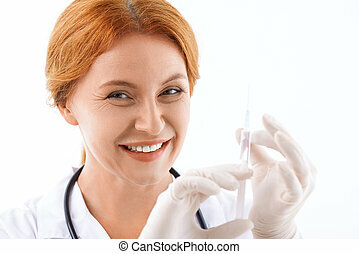 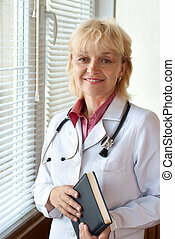 confident female doctor in white uniform looking at camera and smiling while leaning at the glass wall. 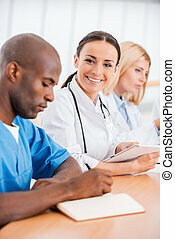 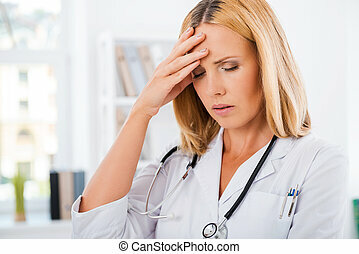 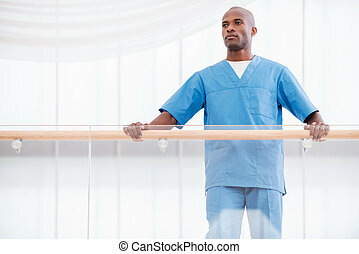 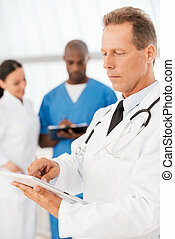 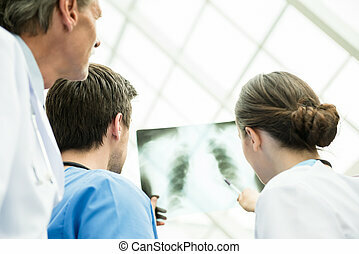 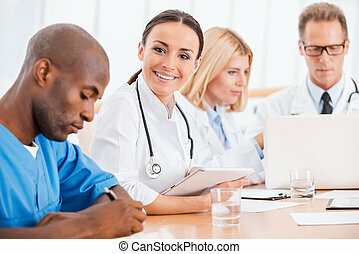 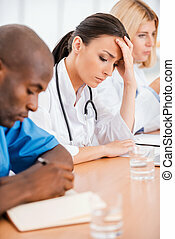 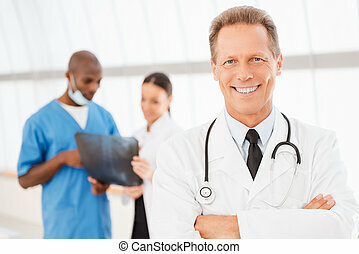 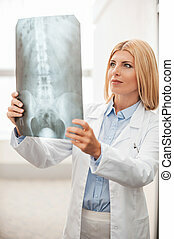 Experienced doctor with medical interns looking at X-ray together at clinic. 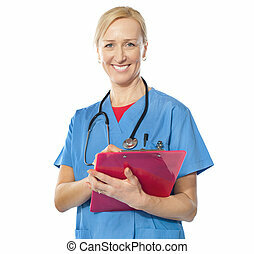 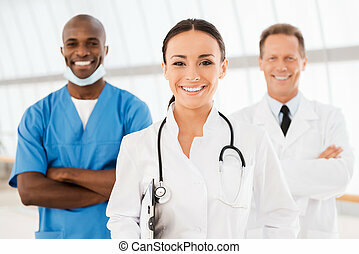 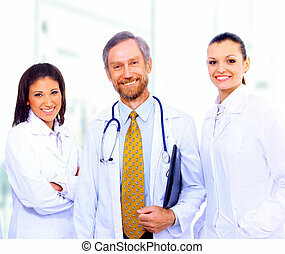 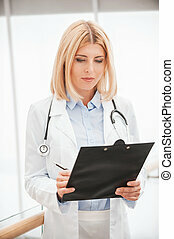 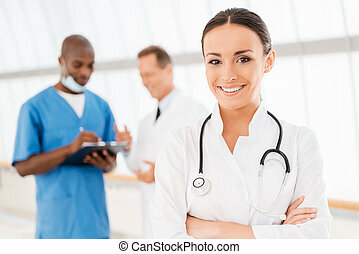 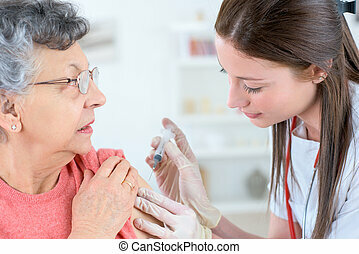 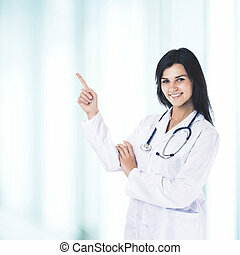 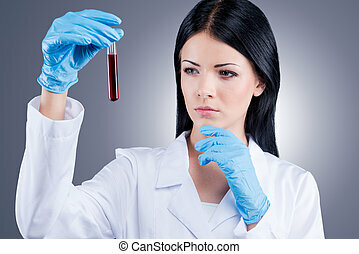 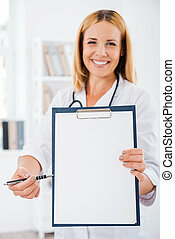 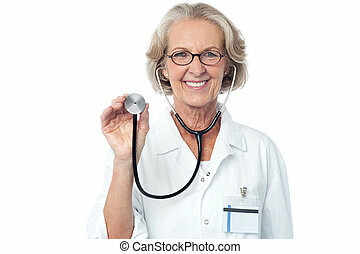 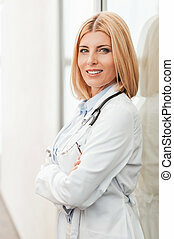 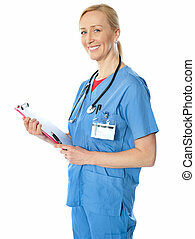 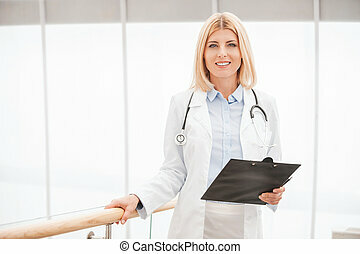 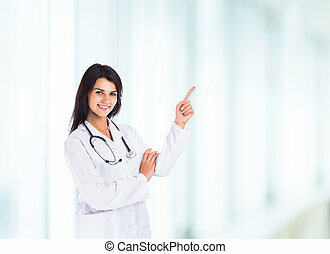 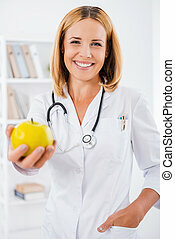 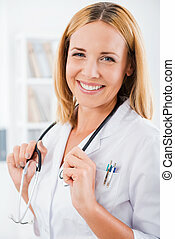 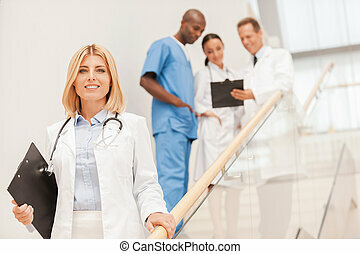 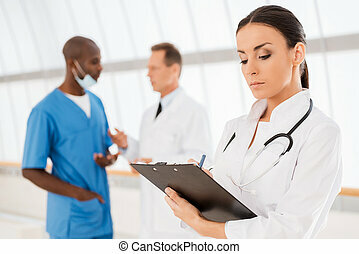 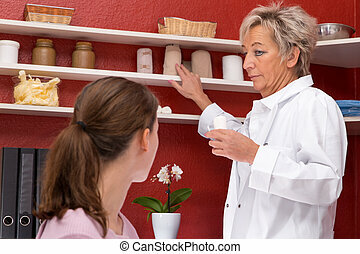 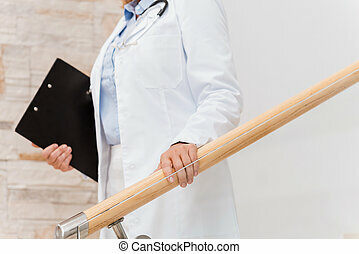 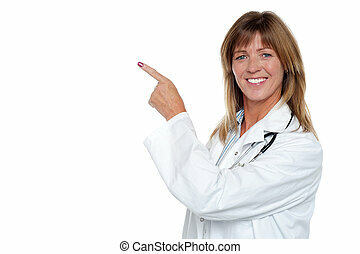 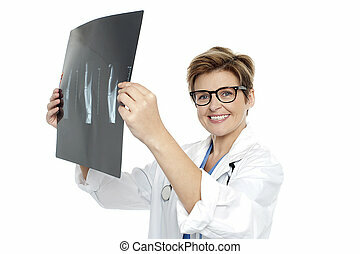 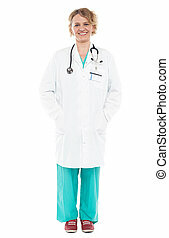 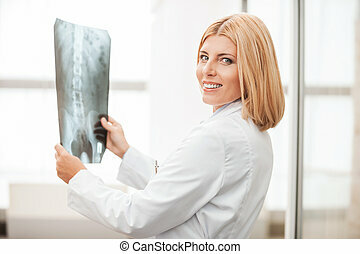 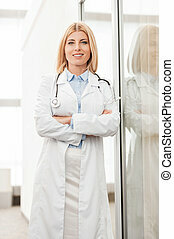 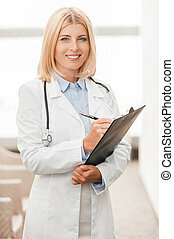 Experienced female doctor standing sideways and pointing away.